Hey there! First, thanks for taking a look! My name is Adele, and I have loads of experience in various aspects of digital marketing. Throughout the years, I have worked in multiple industries – from retail to the very complex financial services. In time, I have found great passion for email marketing. Thus, no wonder, that Codemefy was eventually born! Back in 2017, I have created this website to connect fellow e-marketers, as well as all others passionate about digital and marketing. After becoming a mum, I have decided to take things into my own hands and try my luck freelancing. So, here I am! On the side note, I am kind of a geek, love video games (though it is hard to find time for them these days..), books and Sci-Fi. A big fan of the Lord of the Rings, and yes, I too follow the Walking Dead and Game of Thrones (among other shows and movies). Feel free to check out my LinkedIn profile too. Happy to connect! So the fact is that Codemefy a young business. I offer a variety of affordable email-related services, such as great consultations, help with strategy and email template review. Please make sure to check out what else I can help you with. This website is growing; I am continually trying to optimise and improve it to provide you with the best possible experience. Thus, if you have any comments, advice or feedback – don’t hesitate and give me a shout either through social media or contact us page. You can subscribe to my emails too – I care about data privacy, and I hate spammers. I would love you to know about my new articles; I can share some impressive stats, gadgets, facts and much more. 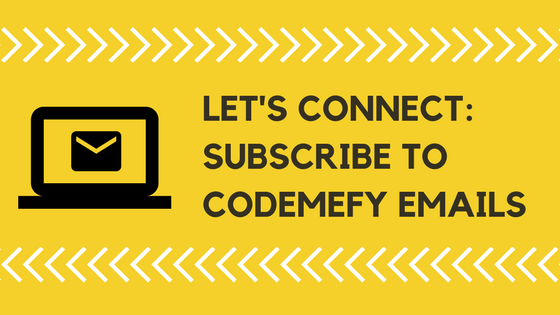 Codemefy started as a blog. I found my passion in writing again, that I had pushed aside for many years. I hope you will check my articles and see something you like. I understand how hard it is for genuine self-starters to find opportunities to network. Get in touch if you would like to publish a guest post here, on Codemefy. I will happily consider! Hopefully, I’ll hear from you soon, and in the meantime, happy browsing.